Brian Mercer, Global Director, Tube Products for AMETEK Specialty Metal Products (SMP), explains why the future for specialised metals in the aerospace industry is set to be an opportunity rather than a challenge. The drive for lighter, more-efficient engines is leading to higher temperatures and a growing demand for specialised, heat-resistant metals – particularly nickel alloys. Due to its high strength-to-weight ratio, titanium will continue to be the material of choice for high-pressure, hydraulic systems on airframes. AMETEK SMP is focussed on developing innovative aerospace alloys that are lighter and stronger to satisfy these industry trends. Brian Mercer explains, “Typically, we’re looking at current generation alloys and try to work out how to make them thinner and stronger. We ask ourselves how do we actually evolve the alloy, so we have a new alloy in itself which can provide more weight savings combined with mechanical strength”. 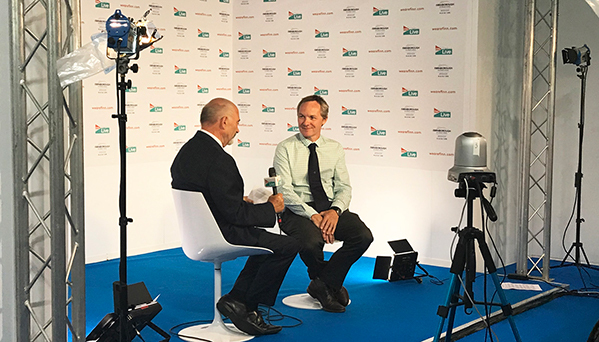 The interview concludes with a discussion of the ongoing development of additive manufacturing technologies at SMP where the outlook for atomised metal powders is equally bright.